In the summer of 1988, in the rural Upper Peninsula of Michigan, seventeen-year-old Jacob Laukkinen and his motley group of friends meet Courtney Suthers, a downstate beauty visiting the area who is in desperate need of adventure. Looking to impress, they take her and a couple of feisty local cheerleaders on a long trek into the forest in search of a rumored dilapidated mansion, said to sit in a swamp haunted by an evil witch who died long ago. What they find is beyond their wildest imaginations and deeper than their darkest fears. 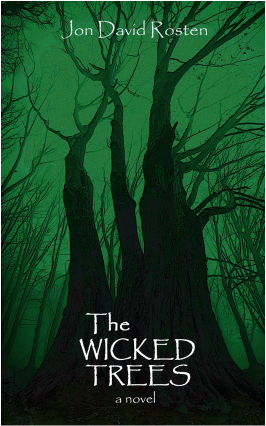 The Wicked Trees is a coming-of-age teenage love story turned nightmare, deep in the backwoods of Grand Lac County, Michigan.